Product Designer, Engineer and Field Tester, Professional Waterfowl Outfitter. Paul personally tests and approves every item, after making any slight adjustments to ensure the design will meet his rugged specifications. His obsession is to design only the the very best products, with new innovative features, to meet the varying needs of today's hunter. Since he was eight years old, he has hunted waterfowl and studied their habits. The love of flight lead him to his degree in Aeronautical Engineering from the University of Washington. 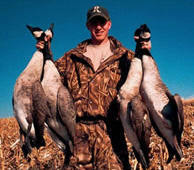 He earned his titles "Goose Master and Waterfowl PH" from clients at his guide service. His expertise comes from 45 years of hunting and studying waterfowl. He has achieved great success by fine-tuning every aspect of the 'hunt', using his custom equipment to bring success to his hunters. On the land he owns and farms, he has improved habitat and designed refuges for wildlife to provide breeding ground and resting ground for migratory and upland birds. His own test lab is called Burbank Guide Service, which is Washington State's Premier Professional Guide Service, since 1977. Little advertising is needed, because 90% plus of his clients are repeat customers. The number of hunters are limited each year to retain the quality and yet Burbank still sells out well in advance. The success at Paul's Ponds has become legendary. Paul of course only uses Aero products! Paul is a popular sports show speaker and has been features on many TV shows such as Ducks Unlimited, Bennilli, NW Hunter, Adventure Outbound, Billy & Buck and others. He has has been featured in many magazines such as Wildfowl, Waterfowl Hunter, Fishing & Hunting News, etc. Plus he has been featured in videos/DVD by Primos and Haydels. He has his own DVD, Greenheads Galore. Paul has received numerous awards from Ducks Unlimited and other conservation groups for his generous support. Paul combines his engineering and manufacturing (30 years plus experience) techniques to provide outdoor products- one step above the rest. Paul wants to preserve our hunting heritage and our resources, especially for his 9 Grand Daughters. Yes 9 girls and no grand sons! But girls can hunt too....and they do! When exposed to the wonders of nature at an early age, the girls just beg to go back again. He has been married for over 40 years to Suzanne and have three children. Suzanne also enjoys the outdoors and hunting. The picture was taken at Paul's Ponds. Private duck lakes Paul has personally designed and developed to enjoy the challenges of nature. These are Paul's and Suzanne's pride and joy. All eight are from 1 to 8 years of age! (Pic 2005). See current pics at the bottom of the page. The girls already love the outdoors and the farms. Some are more anxious than others to experience the great outdoors, but Papa will see that they all learn to enjoy hunting. One of the families great pastimes at 'get togethers' is shooting trap in our back yard. The girls have a 410, but are waiting to grow into it! It is hard to see, but Paul was fresh from the hunting and was wearing his hunting pants for this picture. His predator pants may be barely showing, but his joy is sure evident! She always greets you with a pleasant smile and willingness to help. Her dedication to detail ensures every order is processed quickly. She coordinates the many activities in the business to ensure customer satisfaction, and is always willing to answer any questions which customers may have in person or over the phone. He personally inspects and oversees the production to insure consistent quality. He also enjoys talking to the customers and receiving their input to assist in future product development. She always greets you with a smile, even on the phone. She handles the marketing along with customer satisfaction. She has grown up in a hunting family. Always friendly when she answerers the phone. Plus very efficient is the shipping and receiving department. Loves to hunt coyotes. Also loves fishing bass, steelhead, trout, etc. Learning about waterfowl. She has grown up in a hunting family. Wants to go deer hunting! She is an avid hunter herself and assists in customer ordering and processing. His passion for hunting helps him understand the needs of the hunter. He is the forum manager for Aero Outdoors, he also assists in production. 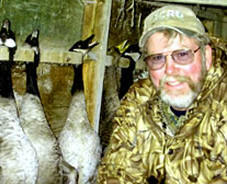 He has competed and placed in numerous calling contests, even organizing the Washington State Goose Calling Contest. He is a real "Goose Getter" (an accomplished guide) and prefers taking them when they're "backwinging." When not hunting Jordan enjoys creating quality products for hunters. She assists in productions and quality control. Since she is an experienced waterfowler she knows the hunters only want and need the very best to be successful. Therefore you can count on her keen eye and perfection to make sure the decoys are the quality needed for the hunters. She has hunted since she was very young, and also enjoys her annual trip to the elk camp! 'Squaw Chief- Get it all done!' Also Web master. Suzanne Sullivan, loves the outdoors. She was born in Pennsylvania to grandparents who loved to hunt and fish. Her favorite family activity is heading to the archery range/3D shoots with some of her 9 grand girls, fishing or hunting. She loves to travel, which allows her time to pursue her photography, reading and writing. Besides developing many of the products herself, she also tests and hunts with the products. Her high mechanical aptitude, creativity, plus her persistence on excellence assists Aero in producing only quality products. She enjoys the challenges of the business, which allows Paul time to test and pursue his passion, waterfowl hunting. 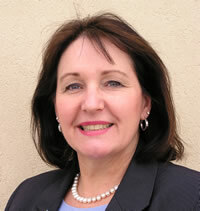 Suzanne is also active in Soroptimist and in the community on various boards. 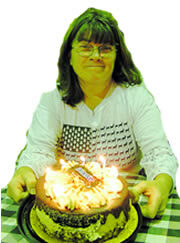 She has receive numerous awards, including the DTM, the highest award Toastmasters offers. She has given workshops, seminars and key note speeches in the Philippines and many locations in the US. She speaks on leadership, team work, product design, doing business in China, women in business, fund raising and other related topics. The Sullivan Clan- summer 2007.
and 8 grand girls, with on the way! The grand girls now shoot the 22, bows and the oldest is going to get her Firearms Safety Certificate this year so she can go hunting, 'for real', she says. We have a 410 auto for her, with a shorter stock. A traditional Thanksgiving Day for the Sullivans, is a grand girl outing with Papa out at Paul's Ponds. They all cheer when they turn 6, so they can join the group. Greg (son) and the 2 son-in-laws join the hunt to assist with the supervision. Some of the daughters (Deborah and Rebecca) go when they can. Suzanne is at home on this day, getting ready to feed the clan. Latter the Sullivan Clan gives thanks for their family, their country, the outdoors and the freedoms we enjoy in the grand USA ( freedom of speech, hunting and religion). Plus we are thankful for our forefathers you founded this great country, and for those who serve to protect it today.